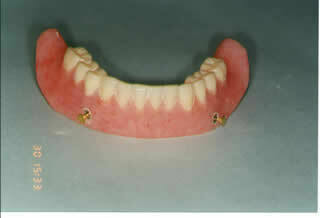 This is a four implants milled-bar supported over-denture. 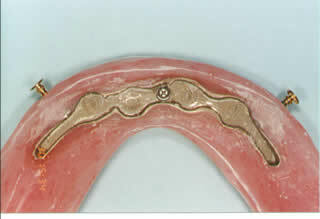 The denture as you can see has an attachment in the middle and two pins at the back that can lock under the implant bar. 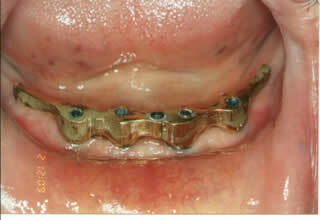 All the chewing force is supported by the four implants and its bar. The chewing force is restored upto 80% as compared to 10% by complete denture without implants.